Today I'm doing something a little different and sharing a post that I've written in collaboration with my sister, Lindsey (Sis). In July Sis held a birthday party for her 4 year old son, Jack (J) this was the first 'proper' birthday party that she had held and we both learned loads from it. I'll be holding a proper birthday party for T's 3rd birthday so we've been busy working together to document everything so we don't forget. Firstly we learned that no matter how fantastic the weather is when you first plan the party, you just cannot rely on British weather! 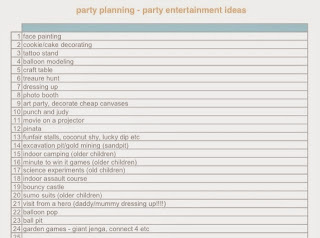 Sis had decided that she would hold the party at home as we were having such lovely weather, the plan was to just put all the outdoor toys outside, have a treasure hunt, have a picnic lunch on rugs and a piñata, there would also be a couple of games. J had decided that he wanted a Fireman Sam party, T had a Fireman Sam party for his 2nd birthday so I had a few things she could use. Sis invited 14 children (including T and our niece M) thinking that only half would accept, she had 8 accepted invites but did have to chase a couple of people who actually couldn't attend. Her nursery provided a list of children in J's nursery group so she knew who to invite. Everything was set, goodies for the party bags were purchased. Balloons and decorations ordered and a cake was found, the treasure hunt planned and then... the weather changed, the UK was in for a week of storms practically over the whole country. For a week we all monitored the weather reports, in true weather forecast style one minute Saturday was going to be stormy, the next it was going to be dry. 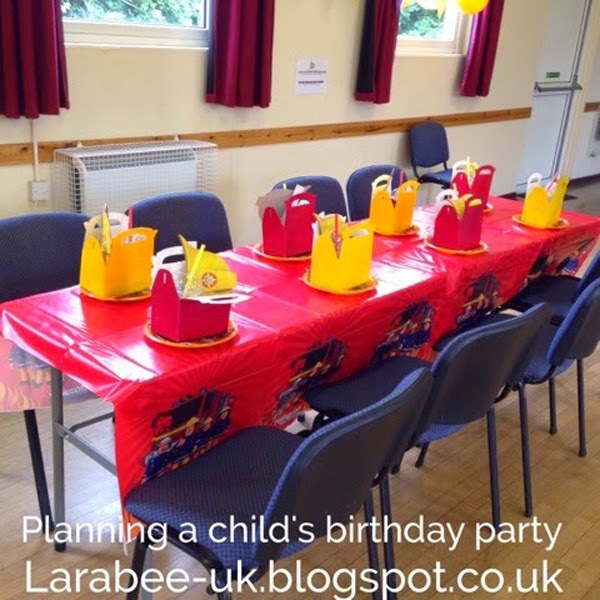 Sis knew she couldn't take a chance and so contacted her local village hall, luckily they were free, she made the decision on the Wednesday to move the party the village hall, she then started contacting parents to advise them of the change. - make sure you have parents contact details before a crisis, it will make re-arranging much smoother if you are not chasing round trying to find contact details to change plans! Food wasn't really a problem because nothing needed to be changed. Decorating the hall would take a bit more planning than decorate at home and then there was the logistics of getting the food etc to the hall. 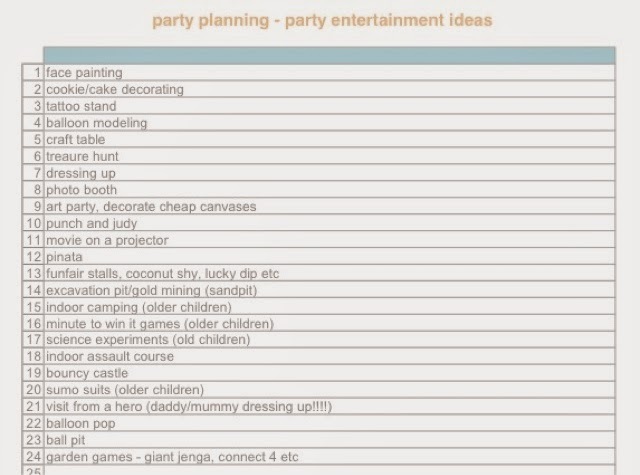 In the end Sis decided that instead of the treasure hunt, she have a cookie decorating table, the piñata, toys and games could all be done indoors and the prizes and party bags wouldn't need to change. That's it for this post, look out for our next instalment when we give some tips about how to make the actual day smoother. Some brilliant tips here. Looking forward to the next post. So sorry I've only just noticed this. Thanks Laura, appreciate the comment.